Ella D’Abbs, Ryan Nolan and Adrian Skiba are ASU delegates at Launch Housing, Collingwood. These three proud delegates have all come from strong union families. One after another they nominated as delegates to take a more active role fighting for better pay and conditions for all their colleagues. Ella, Adrian and Ryan are all passionate fighters for social justice, so becoming ASU delegates was almost inevitable! As delegates they strive every day for better outcomes for the people they provide a service to and also to their colleagues. 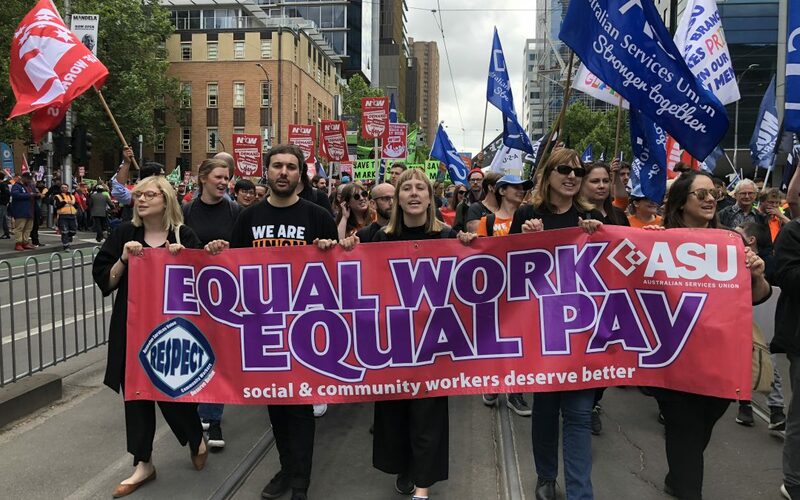 In the very best tradition of the union movement, Ella, Adrian and Ryan see their roles as delegates as including pushing for social change beyond the workplace. Recently, Launch delegates and members have been pushing to ‘change the date’ of Australia Day. Last year ASU delegates held a vote amongst union members and it was overwhelmingly clear that the majority of members supported changing the date. Even though Launch’s enterprise agreement allows for a vote of all staff, the former CEO blocked this. But ASU members at Launch Housing, led by passionate delegates, wouldn’t be deterred. They continued pushing and Launch’s newly appointed CEO has verbally agreed to a vote of all staff.